With origins emanating from Brassware Sales Ltd in 1978, Focus SB was established in 2001 when Sussex Brassware Ltd and Focus Electrical Ltd merged. In 2004, Focus SB acquired general engineering business, CH Turner & Sons Ltd and brought plate manufacturing in-house. Focus SB exports to China, Taiwan, Macau, Hong Kong, Malaysia, Bahrain, Brunei, Ghana, Jordan, Kuwait, Malta, Nigeria, Oman, Qatar and Saudi Arabia. 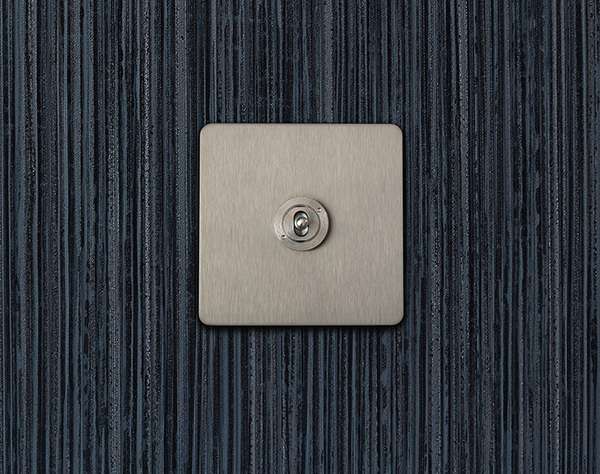 One of few manufacturers able to match its toggle switches to its plate finishes. Electrophoretic lacquering of polished brass plates providing durability and a hard wearing finish, ensuring products keep their appearance over time. The only UK electrical accessory manufacturer with total control of its manufacturing process in-house. First and only UK electrical accessory manufacturer licensed to manufacture and export wiring accessories to China (Oct 2017). The only truly flush-mounted electrical plate for the UK market, the Focus SB Smoothie®, designed in collaboration with the architects and designers, SHH. Fully certified 2 way and centre-off retractive dolly grid switch suitable for use with mains voltage in the UK.